Eventually, that dichotomy is expected to amount to the exclusive use of turbochargers across the AMG range, allowing the German automaker to reduce displacement while increasing output. But in the meantime, Affalterbach has found another solution: cylinder deactivation. The latest AMG powerplant, labeled M152, is based closely on the M157 engine that already powers the new CL63 AMG and its four-door counterpart, the S63 AMG. What makes this engine different, first of all, is the removal of the twin turbochargers. It also makes use of a new air intake, cylinder heads, valve drive, oil system, crankcase and, most importantly, a Formula One-derived cylinder deactivation system that allows it to run – when so selected – on four pistons when conditions don't require all eight. Click through the jump to continue reading. 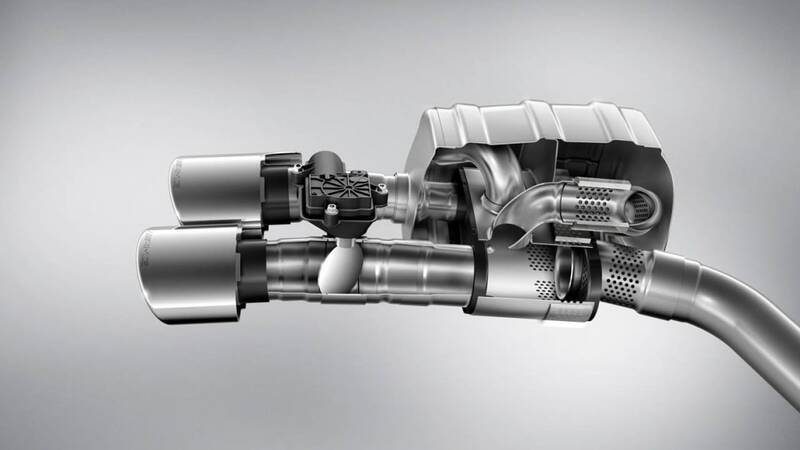 A variable exhaust system also plays a key part. Under low revs, the exhaust flaps are closed. At 2,000 rpm they start to open in increments – 15 percent, 30, 50 and finally, completely open at full throttle. At 3,600 rpm, the extra cylinders fire up, giving the driver the full surge of power and noise when desired, but a drive more respectful of the environment around it when not. The bottom line is 415 horsepower and 398 lb-ft of torque from 5.5 liters – a considerable improvement over the 355hp and 376 lb-ft offered by the engine it replaces – but with a whopping 30 percent decrease in fuel consumption. The engine will be deployed exclusively (at least for now) in the new SLK55 AMG, which will remain the only V8 option in the segment (compared to the likes of the BMW Z4, Porsche Boxster and Audi TT) when it debuts at the Frankfurt Motor Show this September. 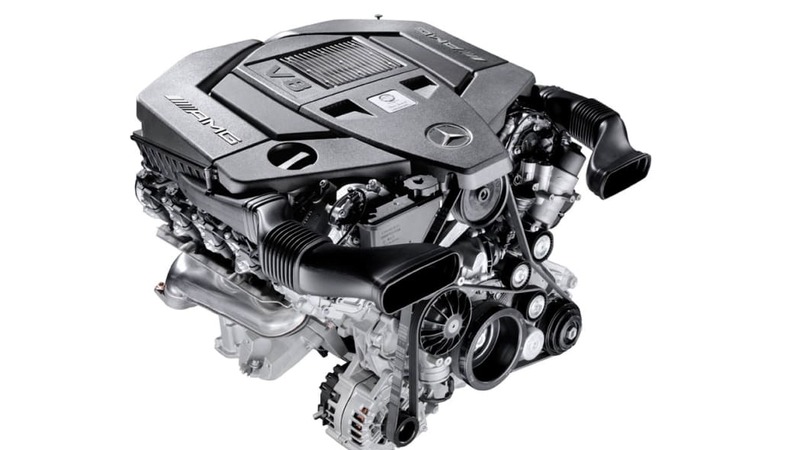 Thanks to fuel savings of around 30 percent compared to the existing AMG 5.5-liter V8 engine, the high-revving naturally aspirated eight-cylinder demonstrates the great innovative strength of AMG while simultaneously demonstratiing the potential still available in naturally aspirated eight-cylinder engines. In line with its "AMG Performance 2015" strategy, Mercedes-AMG is meeting its promise to continuously reduce both the fuel consumption and emissions of new models over the next few years with the new V8 motor – while reaching new heights with the central brand value of "Driving Performance." "With the new 415 hp AMG 5.5-liter V8 engine we have once again created a real masterpiece. The M152 sets an outstanding example for efficiency, while demonstrating the creativity and expertise of our engineers, who took their inspiration from Formula 1 when developing the cylinder shut-off system. This makes the new, naturally aspirated eight-cylinder the perfect power unit for the new SLK55 AMG, which will celebrate its premiere at the International Motor Show in Frankfurt/Main in the autumn," says Ola Källenius, Chairman of Mercedes-AMG GmbH. 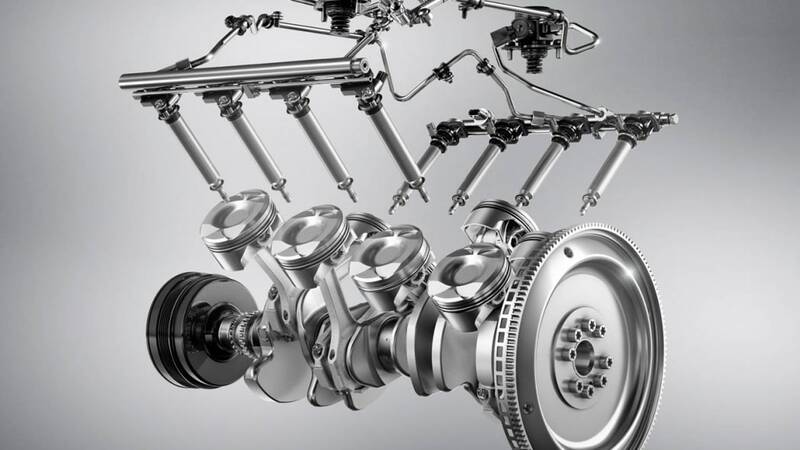 "Thanks to the innovative AMG Cylinder Management system and other high-tech components, our newly developed AMG M152 naturally aspirated eight-cylinder engine achieves the fuel economy of a four-cylinder with the muscular power delivery and emotional sound experience of a V8. A sports car engine with technology taken from Formula 1 – I am convinced that the new SLK55 AMG will meet the high expectations of all sports car fans," says Friedrich Eichler, head of powertrain development at Mercedes-AMG GmbH. The high-tech M152 engine not only stirs emotions with its extraordinary power delivery and torque, but also thanks to a combination of advanced technologies which is unequalled anywhere in the world. No other gasoline engine features direct injection at a pressure of 2,900 psi, spray-guided combustion and piezo-injectors in conjunction with map-controlled cylinder shut-off, an all-aluminum crankcase with "spectacle" honing, four-valve technology with continuous camshaft adjustment, a high compression ratio of 12.6 : 1, an ECO stop/start system and generator management – while revving to a maximum of over 7,000 rpm. All these design features lead to high thermodynamic efficiency, which is the foundation for high fuel efficiency and low exhaust emissions. 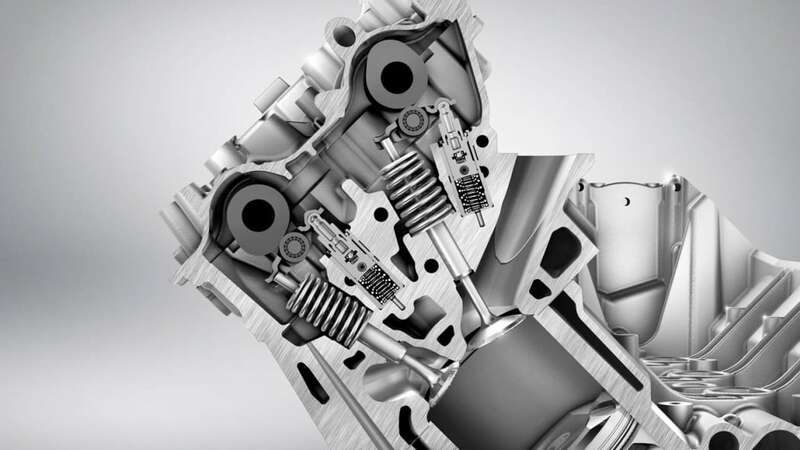 The AMG Cylinder Management cylinder shut-off system, developed completely by Mercedes-AMG, significantly improves efficiency: cylinders two, three, five and eight are cut off under partial load, which considerably lowers fuel consumption. This technology is similar to what's used in the 750 hp V8 engines used in Formula 1. Since efficiency also plays a major role in this ultimate form of motor racing, two or four of the eight cylinders are cut off when cornering at low speed, during Safety Car laps or for pit stops. The cylinder shut-off function is available over a wide engine speed range from 800 to 3,600 rpm if the driver has selected transmission mode "C" – Controlled Efficiency. The AMG main menu in the instrument cluster informs the driver whether cylinder shut-off is active, and whether the engine is currently running in four or eight-cylinder mode. No less than 170 lb-ft of torque is still available in four-cylinder mode – enough power to ensure plenty of acceleration in most driving situations. As soon as the driver has a need for more power and leaves the partial load range, cylinders two, three, five and eight are activated. The switch from four to eight-cylinder operation is immediate and imperceptible, leading to no loss of occupant comfort whatsoever. At an engine speed of 3,600 rpm the activation process takes no longer than 30 milliseconds. - electronically controlled fuel pressure, fully variable and demand-related between 1,450 psi and 2,900 psi. 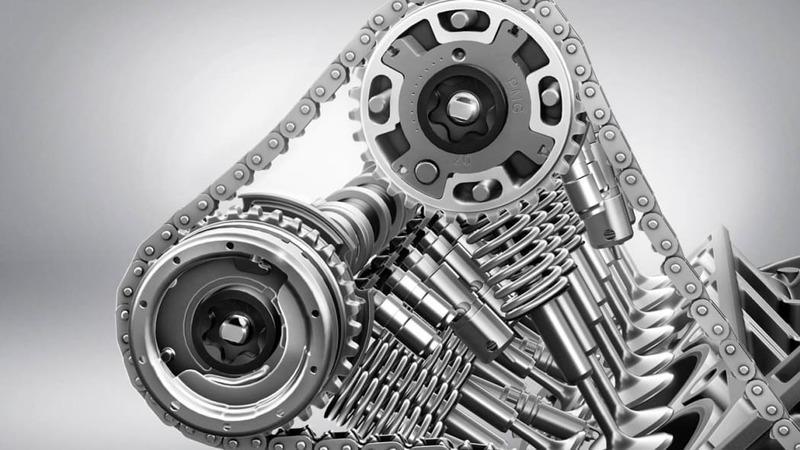 The M152 presented a further challenge – verifying the performance of an engine which is strictly speaking a combination of two engines: a four-cylinder and an eight-cylinder. 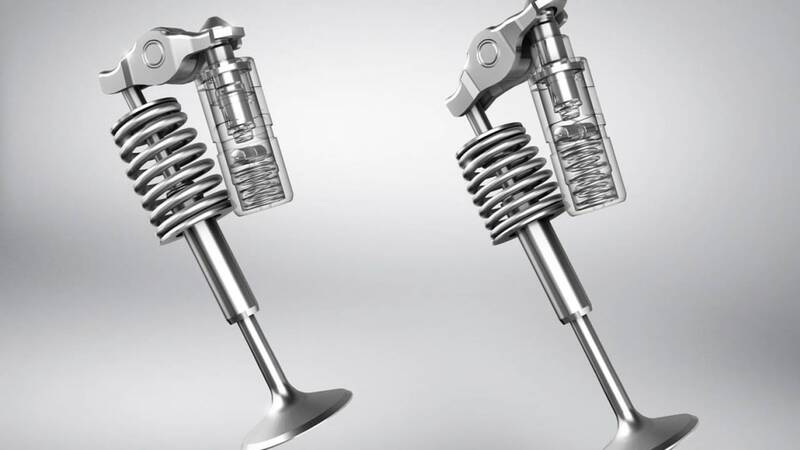 During the development process a large number of parameters such as injection quantities, injection times and camshaft adjustment in four and eight-cylinder operation had to be examined. The transition between the two operating modes must only occur when the camshafts are not "biting", and the selectable actuator is not under load. The behavior of the deactivated cylinders was also continuously analyzed.